brown and green artglass coin bead. swirly design. size approx 20mm diameterx9mm deep. 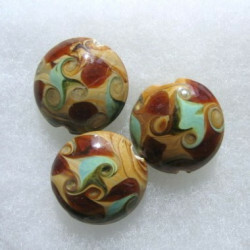 > Beads>Glass beads>Brown and green art glass coin bead. Swirly design. 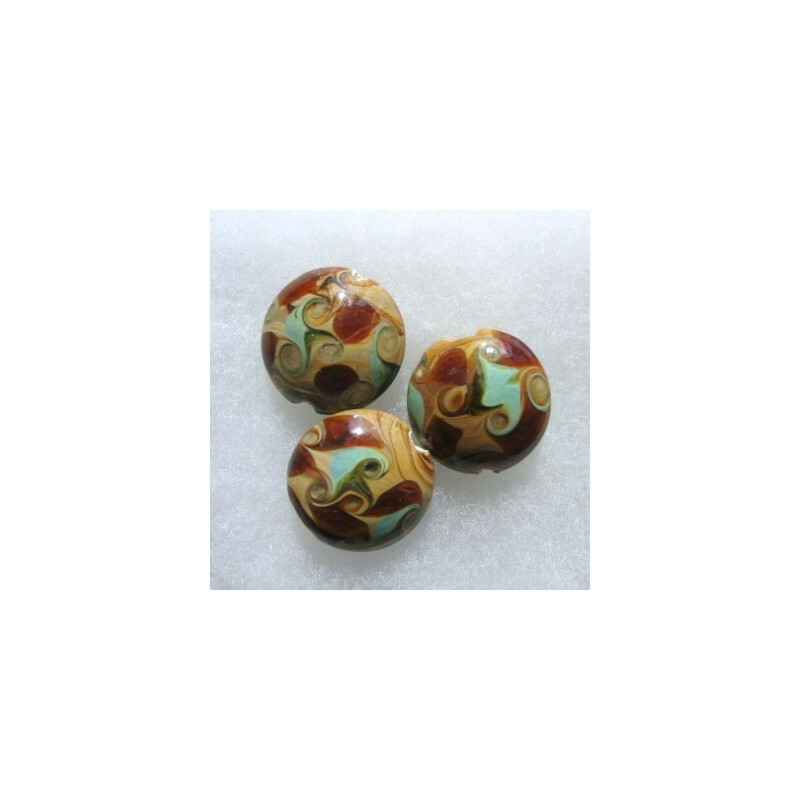 Brown and green art glass coin bead. Swirly design. 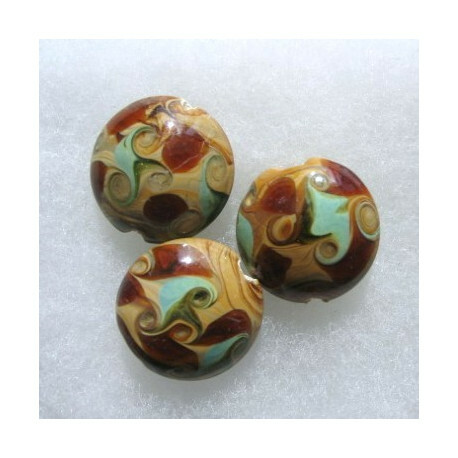 Brown and Green Art Glass Coin Bead. Swirly Design. Size Approx 20mm Diameter, 9mm Deep. Sold Individually.